Tata has not officially confirmed the existence of Harrier Coupe but has hinted at the possibility via a teaser. 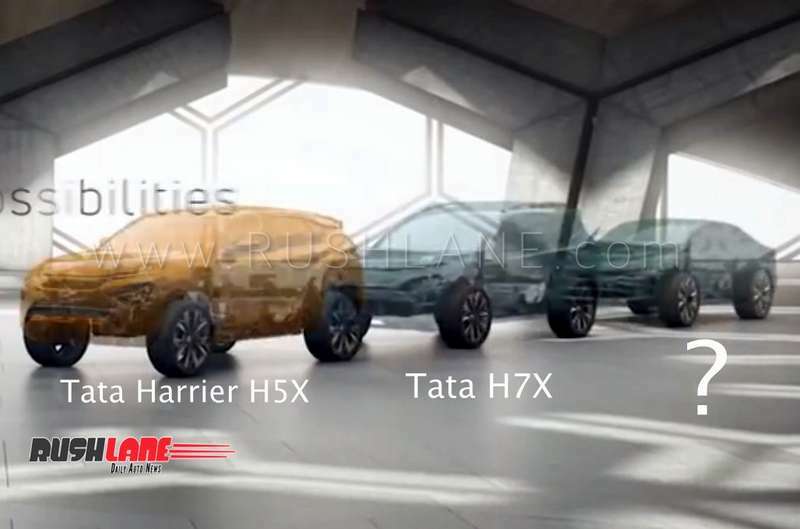 At the time of premiering the H5X Concept which previewed the production-spec Harrier at the Auto Expo 2018, Tata Motors released a promotional video which features a blink-and-you-miss-it moment wherein six models were teased (three each on Omega Arc and Alpha modular architectures). One of those six teasers strongly hints at the possibility of a coupe version of the Harrier. Now that Tata Harrier is launched, our artist Pratyush Rout has come up with a speculative rendering of the Coupe. 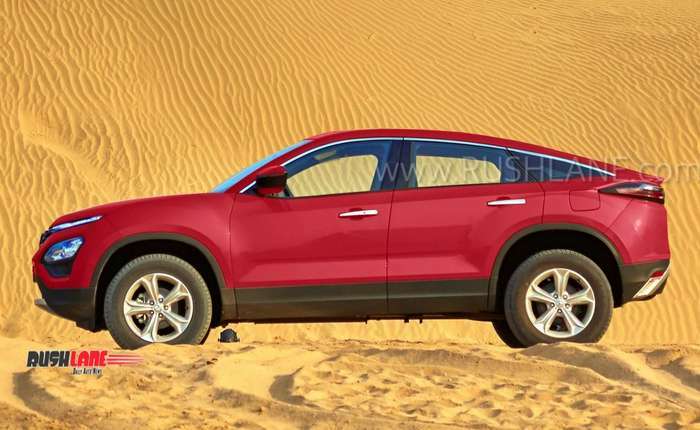 If launched, the Tata Harrier Coupe would rival the production version of the Mahindra XUV500 Aero Concept. The Coupe would create a niche segment and target audience who are looking for a high-riding vehicle with exclusivity in the sub-25 lakh space. The regular Harrier would be responsible for bringing in the sales volumes while the coupe would be positioned as a brand shaper. The rendering closely follows the sketchy profile of the teaser. As you can see, the tight-fitting roofline and a fastback like rear suits the Harrier’s Impact Design 2.0 design language very well. If you like the way the regular Harrier looks, then you would find the Coupe derivative to be much more stylish. The Tata Harrier Coupe would continue to be a 5-seater albeit with significantly less head room for the rear passengers. Teaser image by Tata Motors. To recap, the Harrier is based on the Omega Arc platform which has been derived from the time-proven Land Rover D8 Architecture. The premium crossover is powered by the 2.0-liter four-cylinder turbocharged diesel engine which is borrowed from FCA. It’s the same unit that powers the Jeep Compass but it has been detuned to 140 PS. If it makes it to production, the Tata Harrier Coupe would command a premium over the regular model. In addition to Harrier, the Omega Arc platform will also spawn a 7-seater which will debut next month, at the Geneva Motor Show. Launch will take place at the 2020 Auto Expo in India.